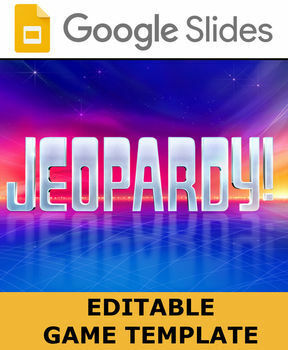 Description: This is a Google Slides editable Jeopardy game template. Jeopardy is great for a fun and interactive way to review information. You can insert all your own information and all the slides are linked for you, ready to go. If you click the question the student wants to answer it will go directly to that slide. If you click answer you will go directly to the answer.